Here is a Trevally or Talakitok (known in Bisaya as Mamsa) caught by Sharptooth while fishing live shrimp on the bottom. 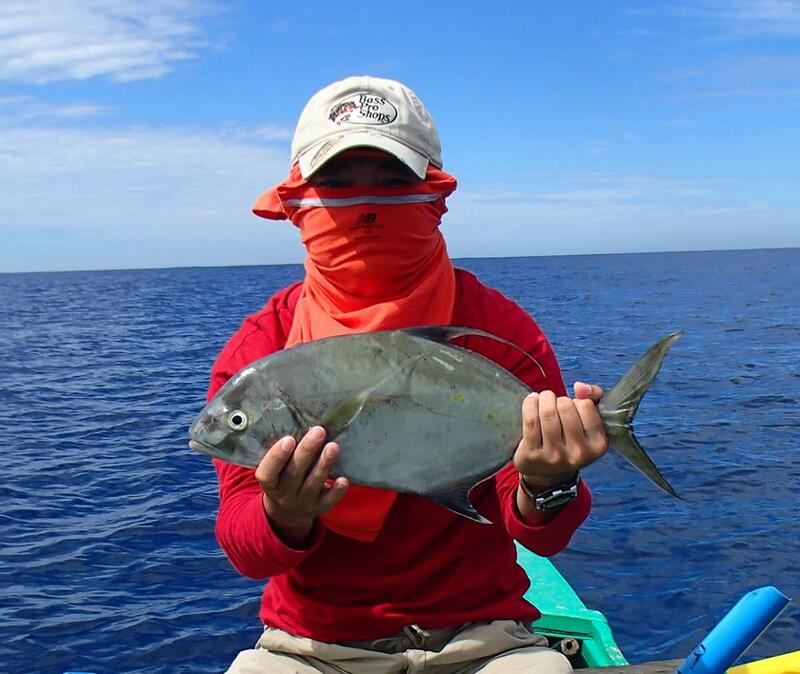 This is another example of the variety of trevally species which can be caught here in the Philippines. Posted on November 24, 2012, in Trevally (Talakitok). Bookmark the permalink. 3 Comments. I believe that’s a yellow spot trevally or island jack (Carangoides orthogrammus). Those are common here in Hawaii.